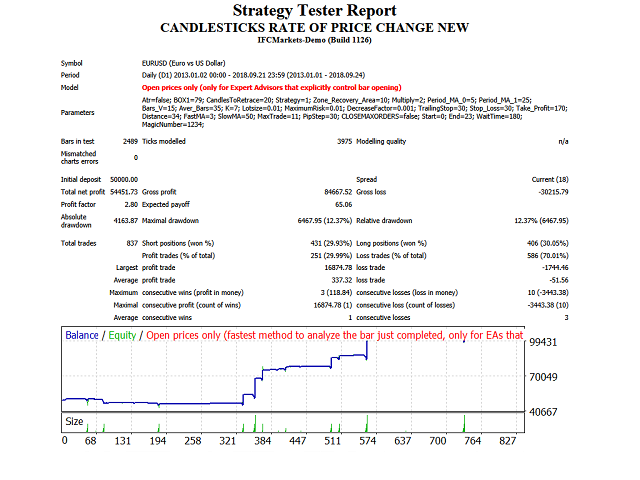 "Candlesticks rate of price change" Expert Advisor uses 4 Different strategies to trade with candlestick pattern , "Bollinger Bands" indicator , "RENKO" box size and more,It can trade with all currency pairs,stocks and all time frames (M1, M5, M15, M30, H1, H4, D1) . 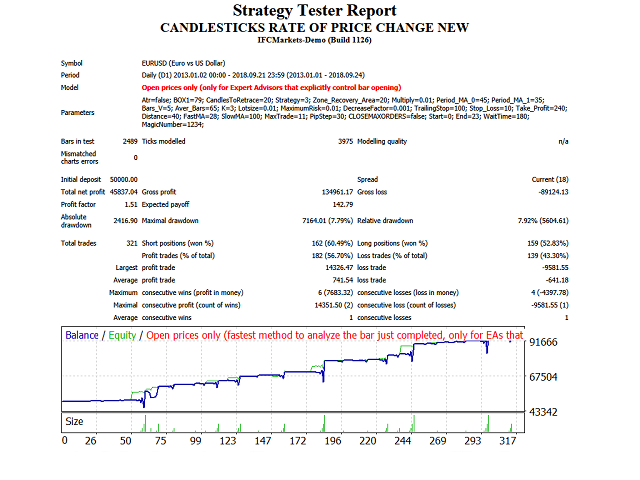 It uses a strategy based on candlestick patterns. It finds the trend with two Moving Averages and a distance between them to check volatility. 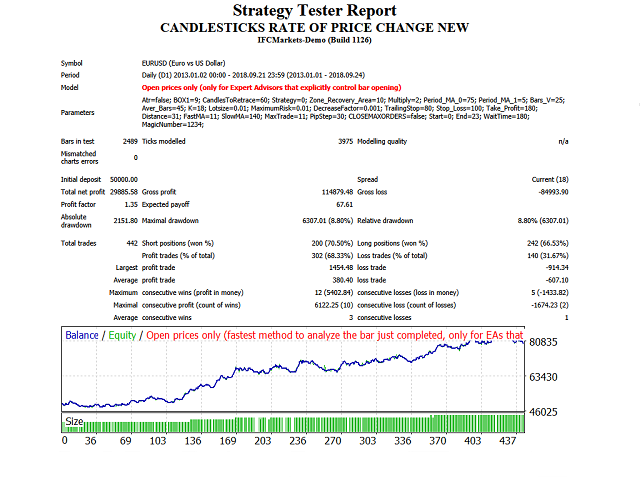 It also has a special built-in algorithm that calculates the price rate of change within the smaller and higher timeframe in relation to the timeframe which you work with,it also uses "RENKO" box size in pips or with "ATR" indicator and trend lines:https://bit.ly/2VkvBh8. 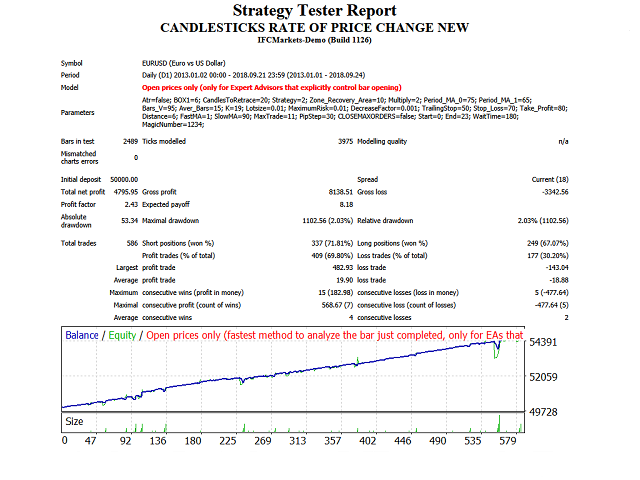 If "Strategy"="Martingale2" -if Ithe trade goes in the opposite direction from your first trade after a predetermined number of pips, then it opens another trade with multiplied lot size ,with the option to limit number of trades..
With the "TrailingStop" the stop loss price will change its position at the value in pips you set. The EA can trade with all currency pairs,stocks and all timeframes. Send Email+sound notification to your phone for every trade. MagicNumber= Magic number (values: 1-100000).